Note this Bible fact in Matthew 15:24....I am not sent BUT unto the lost sheep of the house of Israel. Did you know that Jesus said this? And Matthew 10:5....These twelve Jesus sent forth and commanded them, saying, GO NOT INTO THE WAY OF THE GENTILES, and into any city of the Samaritans enter ye not. The Bride of Christ and The Mystery, the Body of Christ, belong to different operations in the overall plan of God. Both are formed by Christ, and both are based on the redemptive work of Christ, but there are many differences, leading to the conclusion that they are in fact completely different. Once again the purpose of these video, and the corresponding written, messages is to put together for members of the Body of Christ, members of the Lion and Lamb Ministry, and whoever may happen to watch or read them…these “Super-Facts”...in order to help you in your Bible Study. Now, as stated in Super Bible Facts, part 1, I want to reiterate here, that you all become fully aware that the messages from the first chapter of Matthew to the last chapter of Revelation FIVE different groups or classes of people are addressed. For an in-depth explanation of these five different groups I urge you to go and, watch or read, on our website, “Super bible Facts, part 1”. Now I believe if you will keep these five different groups in mind, you will derive both blessing and benefit by carefully studying this first set of 10, (because we have 10 sets of 10) “Super-Facts. 1) There is not one line concerning the Old Testament in the Book of Genesis. The Testament (Covenant), made OLD by the death of Yahweh Yahuwshua, The LORD Jesus Christ, was established about 2500 years after Adam left the garden of Eden. Hebrews 8:9-13. Exodus 20. Romans 5:20. Galatians 3:19. There is no reference to that Covenant in Genesis. 2) Abram (Abraham) was not a Jew. God called “Abram” in uncircumcision when he was 75 years old. Genesis 12:1-15. He was circumcised and became “Abra­ham” 24 years later. Romans 4:8-12. Genesis 17:6-16. The gospel was preached to uncircumcised Abram 430 years before the Law was given at Sinai. Galatians 3:8-17. Therefore, Abraham did not live under the reign of, or Dispensation of Law. 3) The word “Jew” is found for the first time in Esther 2:5, about 470 B.C., or centuries after Abraham was circumcised. “Jews” is found the first time in 2 Kings 16:6, about 624 B.C. The word “Jew” is found about 300 times in the Bible; the word “Christian”, 3 times. The Jews are called “Judah” or “Juda” about 812 times in the Bible. 4) When the word “Jew” or “Jews” is used in the New Testament Scriptures, it generally refers to Jews by religion, and the leadership, rather than to the descendants of Judah. John 2:13; John 7:11; John 11:55; John 19:42, and Galatians 2:14. 5) In Esther 8:17 is recorded the fact that Persian Gentiles became “Jews”. This, of course, refers to religion and not to race. The Gentiles thus were known as “proselytes.” The males were circumcised. Some of the devout Jews from every nation under heaven on the day of Pentecost were proselytes. Acts 2:5-10. 6) Abram was declared righteous 430 years before The LORD made the Covenant (now Old) with Israel. Galatians 3:16-19. Abram, in uncircumcision, believed God and it was counted unto him for righteousness. Genesis 15:6. Galatians 3:6. Romans 4:3. James declared that Abraham was justified by works when he offered Isaac. James 2:21. HOWEVER, that was YEARS after he was justified by Faith. 7) Abraham was not an Old Testament saint. Neither was his son Isaac, nor his grandson Jacob (Israel), nor any of the twelve sons of Israel, including Levi, Judah and Joseph. None of these were Jews by religion, although circumcised. 8) The Book of Romans (especially Romans 1) tells how God cast away the Gentiles, right about the time Abram was called out. Romans 11 relates how Israel was cast away right about the time that the Apostle Paul was sent to the Gentiles. The temporary casting away of Israel brought reconciliation for Gentiles and the Reign of Grace for the human race. This was AFTER Acts 13. 9) Nothing is said about the SABBATH during the 2500 years between Genesis 2:2 and Exodus 16:23. God gave no SABBATH to Noah, Abraham, Jacob, and Joseph. Not one of these fathers was under the Law. Abram found rest in a Person, NOT in a day. Abram had the Faith in God but no God given religion. He was circumcised 24 years after he was justified by The Faith. 10) The LAW was added 430 years after God preached the Gospel of Grace to Abram, till Christ fulfilled and abolished the Law. Galatians 3:17-19. 2 Corinthians 3:11-13. The LAW entered 2500 years after sin entered the world by Adam. Romans 5:20 and Romans 5:12. Therefore the “Law” DISPENSATION was both parenthetical and temporary. Galatians 3:19. Hebrews 8:7-13. 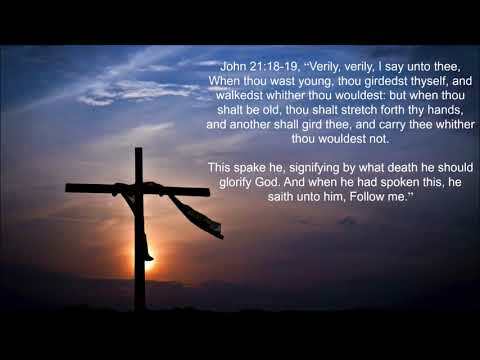 The Law, which was contrary to man, was nailed to the cross. Colossians 2:14.